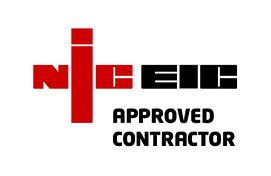 SecureTec is an experienced NICEIC approved contractor who is dedicated in providing professional workmanship with a commitment to quality and safety. Working across the Domestic, Industrial and Commercial sectors, a continued regular and growing client base speaks for itself. A North West based Electrical Contractor who prides itself on a quality service to customers. 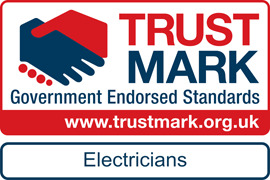 SecureTec's approval by the NICEIC and registration with TrustMark demonstrates our commitment to carrying out electrical work to a high standard. SecureTec has 25+ years expertise within the electrical sector and employ only ‘time served’, fully qualified engineers. SecureTec is registered to carry out and self-certify domestic electrical installation work in compliance with Part P of the Building Regulations. In addition to a BS7671 Certificate, a Building Regulations Compliance Certificate will also be provided. Every electrical installation deteriorates with use and time. If the safety of the users is not to be put at risk, it is important that every installation is periodically inspected and tested by a competent person. It is recommended in BS 7671: 2008 (Regulation 135.1) that every electrical installation is subjected to periodic inspection and testing. We also offer a range of more Specialist Electrical disciplines.